Last week while I was shopping at a book store, the cover of the latest August 31, 2009 edition of Time Magazine caught my eye. I couldn't help but notice it because there on the front cover is a large photo of a package of hamburger meat, one of the most dangerous products in our food system. In the middle of the package of hamburger meat is a warning label which reads, "WARNING: This hamburger may be hazardous to your health. Why the American food system is bad for our bodies, our economy and our environment - and what some visionaries are trying to do about it." 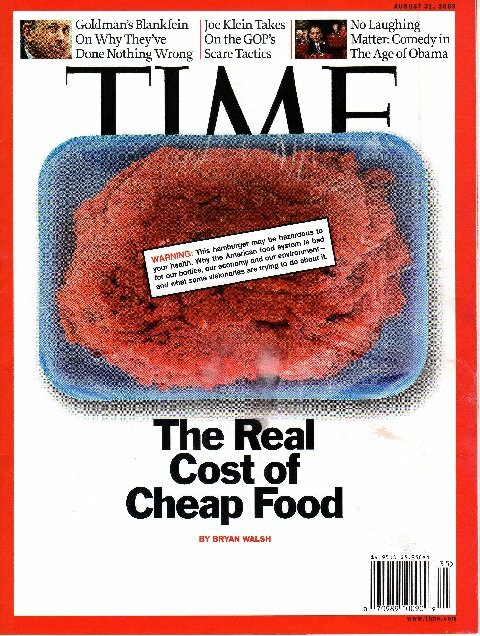 The cover further implies through its title "The Real Cost of Cheap Food," that behind America's food system and corporate farming practices, there have been great costs at all levels, not only to the health of Americans but also to the health of our planet. Seeing the subject of factory farming positioned on the cover of Time is a positive sign that people are now finally listening to these visionaries who have been out there on the front lines for years educating and warning the public of the consequences of industrialized farming practices that are not sustainable or honorable and that go against laws of nature. This article is further support for a small few who have been fighting a tough battle against very powerful industries, including our own government, in order to protect the health of people, our environment as well as the quality of life for livestock animals and to preserve the integrity of real food. "America's Food Crisis and How to Fix It," by Bryan Walsh - In the August 31, 2009 Time Magazine. Click here to read the article online. You might have thought that the quality of food would have been a priority and would have at least mattered to our policy makers in government, but this clearly has not been the case. According to Walter Willet, PhD, Harvard University, "Most of what we have done in agricultural so called improvements and in food processing have actually degraded our food supply from a nutritional standpoint." The result has been the production of mass quantities of food. But, it is cheap food that has no significant nutritional value and food that has been genetically altered and heavily polluted with chemical fertilizers, pesticides, steroids, antibiotics, hormones, feces, irradiation and other harmful toxins. Additionally, it has no taste. Corporate food industries have worked very hard to hide the truth about the methods they use to mass produce food cheaply. It is a system that has little regard for the trillions of lives it kills each year, both animals and humans, or the pollution and destruction it causes to our environment to satisfy corporate greed and Americans demand for $0.99 fast food meals. Instead of the truth, people see commercials with healthy happy thin people eating creatively plated, packaged and wrapped food products 24-hours a day inside and outside of their home. They go to the grocery store and see neatly packaged and labeled products. Yet heart disease, cancer, diabetes, obesity, autoimmune system illnesses, chronic fatigue, indigestion, IBS, erectile dysfunction and other health related issues are the direct result one can achieve from eating this factory produced food. And though food is a leading cause of disease, there is never a warning label, like what is printed on alcohol and tobacco packages or even a side effect disclaimer. In fact, our own government has helped this industry hide information about the food so that people will not question the integrity of conventional food over organic food. There is no real way that science could possibly even begin to measure the destructive impact that this industry has had on us because it is busy equating food with measurements such as fat, protein and carbohydrates. But the true definition of food is an edible substance that nourishes the body. Food that is nourishing is grown naturally, traditionally and with care and respect. The majority of food that is produced today is not nourishing and is certainly not grown naturally with care or respect. A major element that is being overlooked when comparing conventional foods with organic foods is the actual life giving energy of the food. Factory farmed products such as those produced from animals are made from animals that are raised in unnatural conditions that are inhumane, stress inducing, disease causing, filthy and unhealthy. The negative energy that is created at all levels in the lives of these animals is in turn what is consumed by people who either do not know or choose not to know the quality and the condition of the food they are choosing to eat. I have to believe that the majority of people do not have any idea about the truth behind their food because the thought of people knowing and not caring and continuing to support this industry is too horrible for me to accept. I grew up in the 1970's when fast food was just beginning. Back then, I remember eating an occasional happy meal, DQ corn dog and frozen tv dinners. But for the most part, family meals centered around traditional home cooked meals which we ate every night at the dinning table. 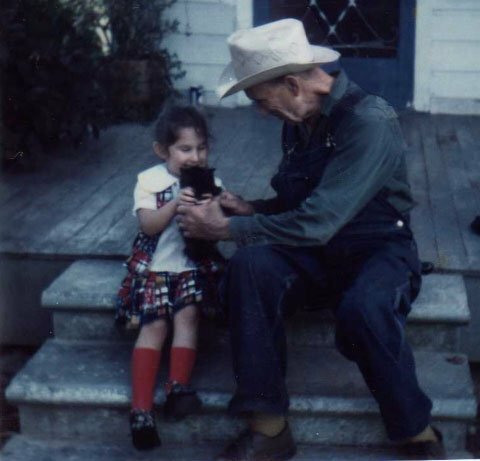 I was fortunate because I was able to experience life on real farms as both sets of grandparents lived in the country on farms. I loved to go and stay with my grandma and help her collect eggs from the hen house and pick vegetables in the garden. We would sometimes eat the vegetables we picked together right there in the garden. My dad's family had milking cows and provided raw unpasteurized milk to people in their community. They also had a garden and chickens. It was also very common to have neighbors that grew gardens in their yards. Every year, I would catch frogs for their garden and they would share their fresh vegetables with my family. I have always loved all animals, especially cats. I think this is Big Red. 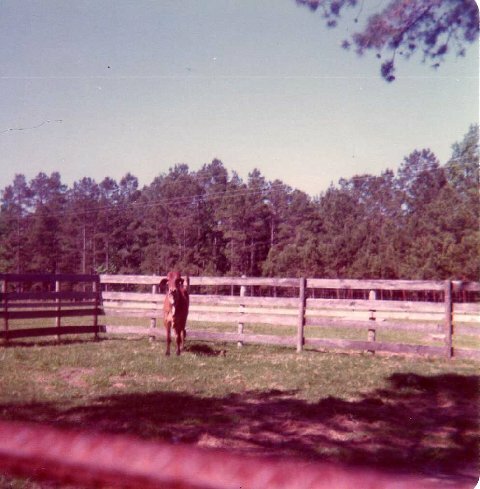 Danielle on Grandma's farm with goats in 1979. Since coming back to the East Texas area, it has been interesting to see that the sharing of fresh grown food still exists. This summer I have received home grown giant zucchini, figs, mint, basil, chives, arugula, pears, mustard greens and bell peppers from a number of my clients. I have also been able to take advantage of the locally grown organic produce that some of the farmers provide to a local health food store. There is nothing like fresh grown food. It not only looks different than the food you see in the store but it also tastes so much better. But even in the midst of all of this beautiful farmland, large numbers of the people of East Texas are very unhealthy and obese. It was not like this 30 years ago. Today the state of Texas ranks 12th for adult obesity and 6th for childhood obesity. What has changed? Primarily the quality of food. People have shifted away from traditional food and are now eating large amounts of low quality cheap processed factory farmed food. They are also drinking lots of sugary sodas and alcoholic beverages and living sedentary lifestyles. I have waited until now to introduce to you through my blog these very serious issues surrounding factory farms and the concept of ethical eating. For those of you who are my clients or who have attended any of my events, you know that we thoroughly discussed factory farming because it has a very significant impact on the health of our bodies, our environment and the lives of animals. By making more ethical or sustainable choices you are not only creating a healthier body for yourself but you are also helping to create a healthier world. Every time you spend money for products that are nonorganic and factory farmed, you are helping one of the most destructive, horrible, cruel and disease causing industries continue to exist. We have the power to stop factory farming through our rejection of their practices and products. As long as there is a demand for these products, factory farms will continue. Your food choices and dollars are what have the power to stop this! I am not trying to convert people to vegetarians or vegans, I am trying to raise people's levels of consciousness about the food that they are eating so that they can make healthy more sustainable choices. Mahatma Gandhi said, "The greatness of a nation and its moral progress can be judged by the way its animals are treated." We must work together to change this horrible situation and move beyond what we have created out of blindness. Please watch these videos and visit these organization websites as they provide a lot of very important information that you should know about the food crisis in America. After looking honestly at the food system, I do not believe that any person who is practicing kindness, compassion, peace and love would want to participate in such cruelty. There are far better choices! To watch this documentary click here. Please visit the Humane Society website for more information click here. Please visit PETA's website for more information click here. Take Action Now and Stop McDonald's Cruelty! Please visit Farm Sanctuary's website for more information click here. Take Farm Sanctuary's Live Virtual Tour click here. Please visit The Meatrix website for more information and videos click here. Howard Lyman "The Mad Cowboy"
Please visit The Mad Cowboy's website for more information and videos click here. Howard Lyman asks us, "What are we going to do to change us from where we are now to where we need to be?" If you choose to eat animals, choose to do so responsibly. Consider giving up cheap food that does not honor the life of the animal or yourself. Consider trading quantity for quality pasture raised animals that have had the opportunity to live a healthy life and eat a natural diet. 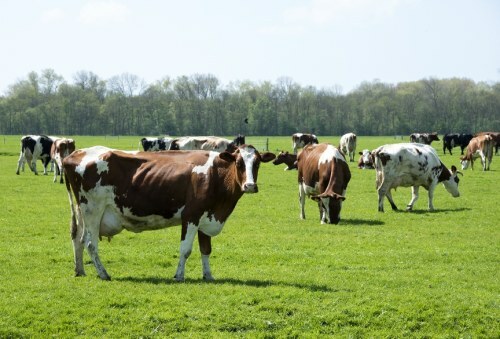 Only buy organic meat products and if possible from a local farmer that raises their own livestock. 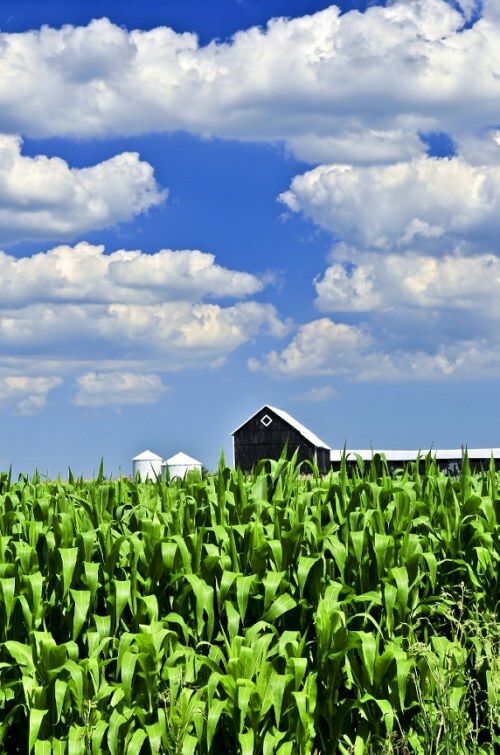 Find a farmer in your area click here. It is important that you also know that it is very possible to live a very healthy balanced life as a vegetarian eating delicious vegetables, grains, beans, nuts, seeds, fruits and healthy fats. If you watched the videos then you saw that dangerous factory farmed downer animal products were being supplied to the National School Lunch Program and were being served to children. Currently the Child Nutrition Act is up for renewal. The United States Department of Agriculture regulates the National School Lunch Program and its extensions. Each school district's wellness policy then determines the remainder of the school's food offerings. If you care about the quality of food that your child and other children have to eat at their school, now is the time to write your legislators. In your letter include that you support a Child Nutrition Act that creates higher minimum standards for food served in schools, that allots for more funding, and more fresh fruits and vegetables. Additionally, lobbyists are seeking to have legislators add wording that would prohibit districts from setting their own policies that would for example ban artificially sweetened beverages. Therefore, it is important that you let your legislators know that you support regulations that encourage districts to establish local standards that exceed the federal mandate and that federal policy should not supersede or undermine local district wellness policies. Write your representatives and urge them to end factory farming. You can also do this through the Organic Consumers Association website click here. I want to thank you for your continued interest and support. Please help me communicate this important health information to others who may need it. Please forward this information on to anyone you think might have an interest. How all cattle should have the opportunity to live. It is up to you!!!!!!! If you would like to create a more vibrant and healthy life and need personal support and assistance to help you get started, please contact me today! I can help you 866-330-5421. Services are provided nationally via telephone sessions. In person sessions are currently available for those living in the East Texas area! I wish you good health, happiness and love! Have a wonderful Labor Day!! Please subscribe to the RSS feed so that you will be updated when new articles are posted Artemis in the City Blog. I also now have YouTube and Vimeo video channels and can be found on Facebook, Myspace and Twitter!